Today we have a perfect project for cloth Christmas Tree napkins from Brooklyn to dress up your table this holiday season. It will also make a beautiful handmade hostess gift that she will be sure to love. 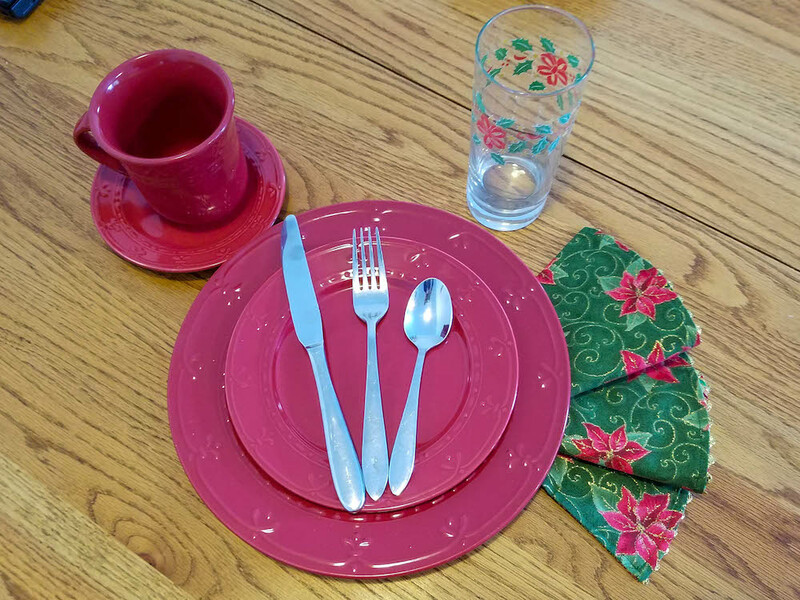 It is just a beginner friendly project, it would be a great one to start out with for handmade gifts this year. 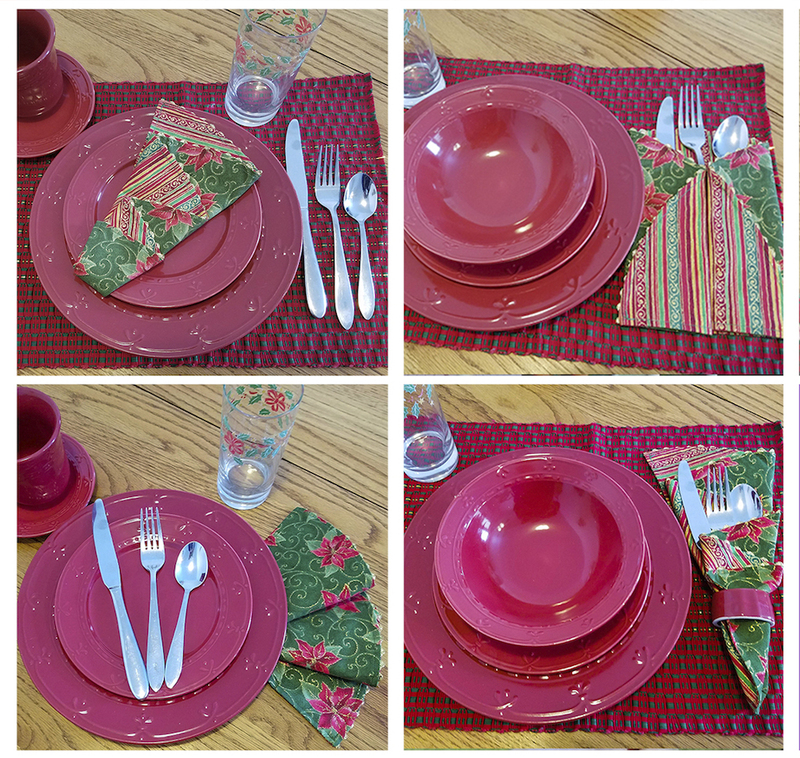 The pattern offers 4 sizes for the napkins so that it will adorn any table setting. You can download the pattern HERE with the step by step instructions along with details pictures to walk you along the way. It also includes alternative folding instructions as pictured below. I cannot wait to try this project out! Visit our other posts for our 12 Day's of Christmas as we bring you a new FREE Pattern or Project each day! 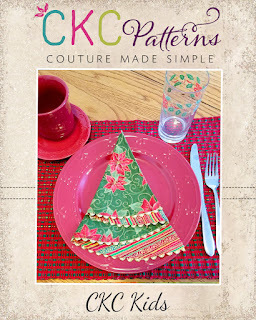 Please come share your creations with us in our friendly and encouraging facebook community or on Instagram @CKCPatterns. 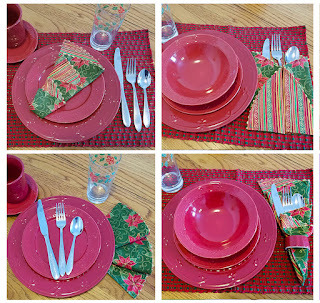 This would be cute to use for Christmas dinner! This is beautiful! 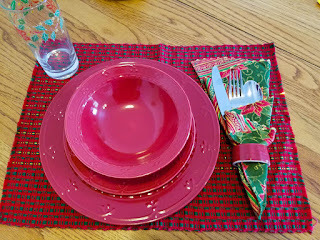 I love the fabric that was picked to do this <3 so lovely! 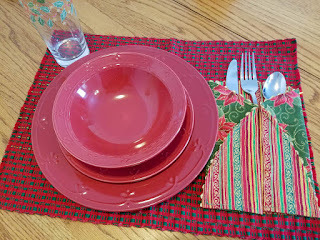 Sew pretty table! Very creative way to dress up any table. Love it. Beautiful! Can’t wait to make these!